1 Selling your Home During Divorce? Selling your Home During Divorce? Going through a divorce isn’t something we look forward to. It usually leads to tension, confusion, frustration, and arguments. There are very few experiences that are more difficult and less enjoyable than going through a divorce. It is an unfortunate situation, but one that has to be dealt with. One common question is how to sell a house while undergoing a divorce. Well, there are various scenarios that can come into play when attempting to sell a property during a divorce. Everyone’s situation is different and so, it makes sense to know the options that exist when it comes to selling a house while going through a divorce. 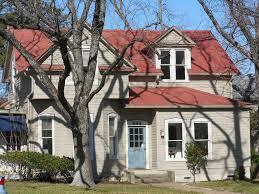 Normally, there are a couple of various options that a divorcing couple can explore when selling a home. It is advisable to go through all the available options so that you can pick the best one for your situation. One of the most common options for couples undergoing divorce is for one to buy out the other. In this scenario, one of the spouses takes full control of the property. To achieve this, one of the spouses will have to pay the other a lump sum of money which usually incorporates any equity that has been built in the home during the marriage period. For a buyout to be successful, the person taking over the home will have to apply for a refinance of the property in just their name. They will need to go through the mortgage loan pre-approval process in order to show that they can afford the property. If they can afford the property and the divorce is finalized, the other party will need to sign a document known as quit claim deed. A divorce lawyer can draw up this document and it needs to be filed with the court. It is advised that when one party decides to ‘buy out’ the other that a lawyer is involved. This helps ascertain that one spouse isn’t being taken advantage of and helps get rid of problems that might arise in the future. Another option when selling a house while undergoing divorce is for the couple to continue to co-own it. The main reason that a couple may have to choose this is where there are children involved. Selling a home with children can be quite tricky, let alone relocating them from their family home due to a divorce. However, there are some important considerations that you should keep in mind when you decide to co-own a house with a spouse during the divorce. First, it is imperative that there’s a mutual understanding in place since the property will be in both parties names and so, late or missing payments will have an impact on both of your credit scores. As such, it is advisable that if you are going through a divorce and choose to co-own the house that you have an agreement in writing. The document should state exactly who is responsible for what and if one party is planning to buy out the other, it should ideally be put into writing in a clear and concise manner. Of all the available options, this one is the most common. If a divorcing couple chooses to sell the house immediately, the profits or losses that result in the sale are split fairly. If the divorcing parties don’t have adequate equity in a property, it is fairly common to see a short sale case as divorcing couples typically don’t like the idea of putting more money into the house or divorce. If you and your spouse decide that the best route is to sell the house immediately, it’s important to use a realtor who has experience in selling homes during a divorce period. Anytime a homeowner chooses to sell their property, it is important to know how to interview and pick ideal real estate agents to sell the house. When it comes to selling while undergoing a divorce, it becomes even more crucial to know which questions to ask the potential realtors. Knowing how to hire a realtor during this unpleasing period can make the difference between a smooth and successful trade and the complete opposite. The first question to ask is whether the realtor has sold any houses in the past where the owners were undergoing a divorce. An agent with adequate experience in selling homes and dealing with divorcing couples will certainly know the importance of making a quick sale while maximizing the property’s sale price. Not just that, but the realtor should know how to deal with stressful situations that might come up when selling during a divorce period. Conflicts are not uncommon and they can arise at any stage of the selling process. Arguments like who is supposed to cover repairs can make the whole situation worse and so, you should pick an agent that can be able to advise and suggest solutions for such scenarios. 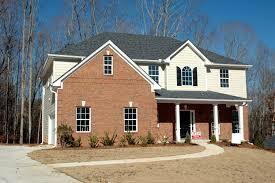 There are two primary factors that determine whether a property will sell or not and they are marketing and pricing. Once you hire an ideal real estate agent who knows the best strategies for selling homes, the next step is to decide on the listing price of the property. Choosing the wrong price, especially at this stage is the kiss of death and usually results in an unsuccessful sale. There are numerous property pricing mistakes that people make and it’s important to avoid them at all costs, particularly when undergoing a divorce. To determine the ideal price of your house, your realtor will provide a comparative market analysis (CMA), which is an excellent way to find out what has been happening in your local real estate market as well as what comparable properties have been selling for. It is advisable to initiate a timely sale and to ensure that the listing pricing is attractive to potential home buyers. These options and tips will certainly help you sell your home even in one of the hardest moments of your life.